Max's Double Header: Part 1 — The Stephanie Albertson Trunk Show! Posted on August 30, 2012 at 4:56 pm. The fair is over, the kids are back at school, so it’s a perfect time to launch the second half of our 2012 event schedule! Things get going September 7 with a trunk show and personal appearance with jewelry designer Stephanie Albertson. When asked about her designs, Stephanie says: “My jewelry is about color and having fun. I love the whimsical, magical and expressive power of jewelry. 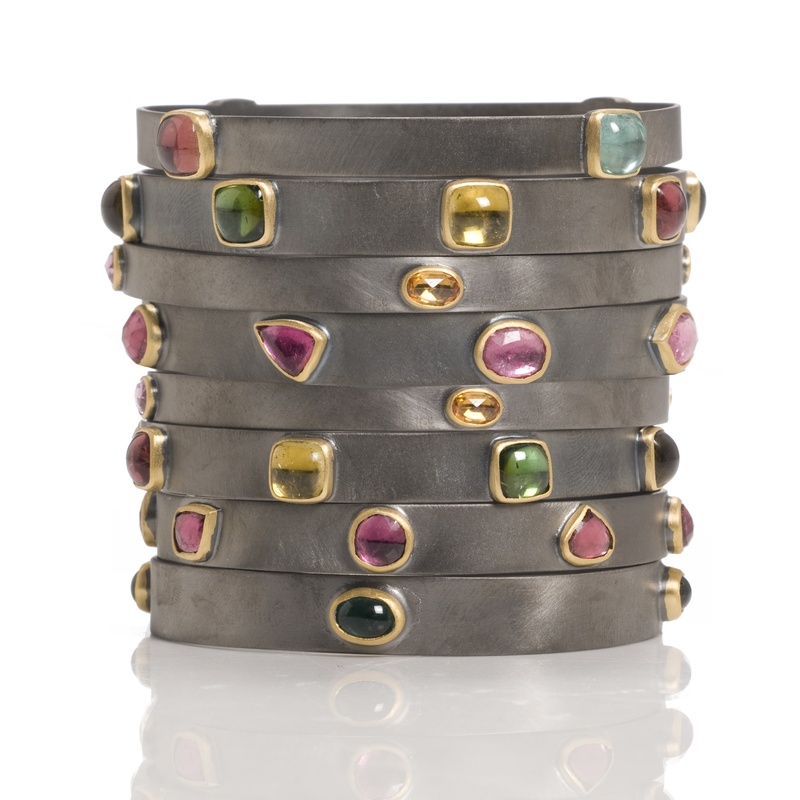 My jewelry allows the wearer to make a personal statement and express their individual sense of style.” We think that these oxidized silver bangles with gemstones surrounded by the warmth of 22k gold says that you’ll be stylin’ this fall. The trunk show runs from Friday, September 7 – Sunday, September 9.